United Alloy Inc., a serial production metal fabrication and powder coating company, will invest $15 million to expand its operations in Janesville, Wisconsin. The project is expected to create up to 66 jobs over the next three years. The new 100,000-square-foot facility will be located on a 17-acre lot adjacent to the company's existing building on Kennedy Road. The $15 million project also includes a 7,500-square-foot addition to the current facility and the installation of new equipment at both buildings. 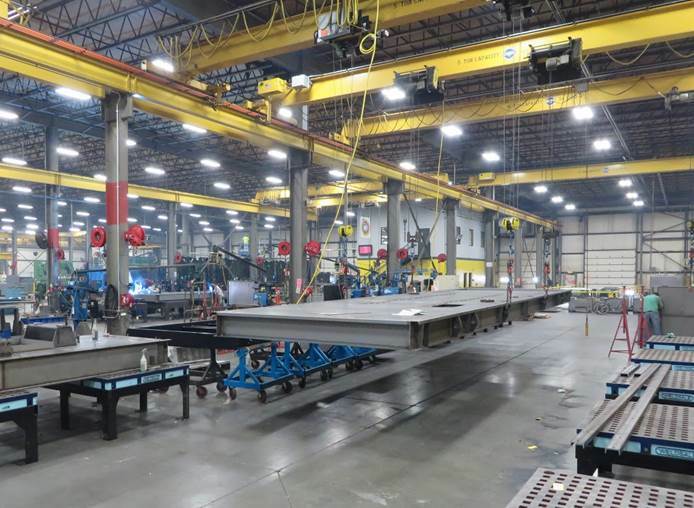 "We made our final decision to locate in Janesville because of our proven successful track record of attracting Wisconsin employees capable of building a world class organization," said Tom Baer, founder and owner of UAI (www.unitedalloy.com). The new complex will include an entirely new painting system that would occupy about one-fourth of the building, while the rest of the facility would be used for assembly and loading areas for trucks. Construction on the expansion expected to be completed by January 2019. As an incentive, the Wisconsin Economic Development Corporation is supporting the project by authorizing up to $560,000 in state income tax credits over the next three years. The actual amount of tax credits UAI will receive is contingent upon the number of jobs created and the level of capital investment over that time. The Wisconsin Economic Development Corporation also has approved an allocation of up to $10 million in industrial revenue bonds to the City of Janesville to provide financial support for the project. The city will issue the bonds on behalf of UAI, and proceeds from the sale of those bonds will help finance the construction. The city also sold UAI 17 acres of land for the expansion for $1, and provided the company with $394,000 in forgivable loans to help bridge a financing gap for the project. "Wisconsin is open for business and companies are continuing to take advantage by expanding and creating more family-sustaining jobs. Congratulations to United Alloy for creating yet another expansion in Janesville. We applaud the company for its decision to grow in Wisconsin, despite having other location options," said Governor Scott Walker. "UAI is one of the many existing Wisconsin companies that are expanding here because of the state's pro-business climate and outstanding workforce. Wisconsin had a record year for economic development in 2017, and we expect this year to be another successful one, thanks in large part to companies like UAI," Walker added. "Rock County has seen an economic resurgence in recent years, and WEDC is pleased to have played a role in that turnaround," said Mark R. Hogan, secretary and CEO of WEDC. "Since 2011, WEDC has made more than $83 million in business and community investments in Rock County, including $33 million to companies for projects expected to retain or create more than 8,200 jobs, and generate more than $600 million in capital investment." "This expansion is yet another example of the thriving manufacturing environment that exists within the Janesville-Beloit metro area," added James Otterstein, economic development manager with the Rock County Development Alliance. "UAI's continuous investments demonstrate the important role that public/private partnerships perform with respect to fostering economic prosperity."